Where to now, Clint Hocking? Clint Hocking, the Far Cry 2 designer who left LucasArts in 2012 to relocate to Seattle and work for Valve, seems to have left Valve. No word yet on why Hocking departed the company he'd spent a little over a year working for, or where Hocking's off to next. His personal blog suggests he left Valve at the end of 2013, and his LinkedIn profile lists Valve as a former employer, but that's as much as Hocking's prepared to share. The last time Hocking left a company he said he had something lined up, which turned out to be Valve, but this time either Hocking hadn't prepared in advance or, more likely, he's not going to talk about his plans. 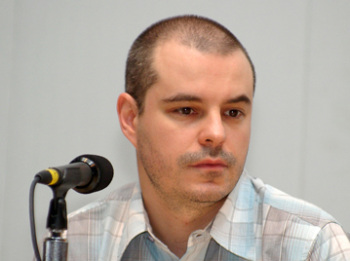 Before his stint at Valve Hocking spent two years at LucasArts, and spent nine years at Ubisoft before that. He left Ubisoft because, he said, he was "too comfortable," but it's beginning to look as if he can't get comfortable anywhere else. He may have been working on Left for Dead 3 while at Valve, a game that has yet to be officially announced.